The Carpinteria Creek Mouth restoration project is located at Carpinteria State Beach, on State Parks property. The goal of the project is to increase the habitat and ecological value of the Carpinteria Creek estuary by removing non-native flora and the planting of native flora along the banks. 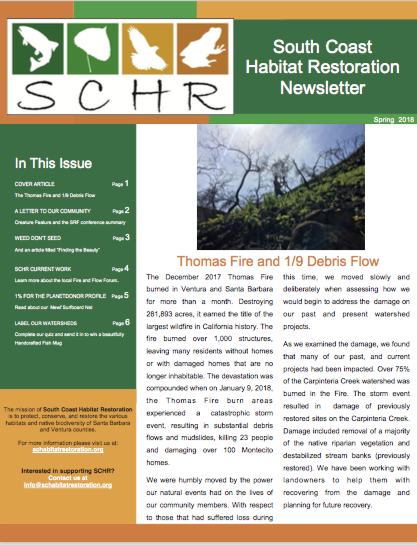 The project is collaboration between South Coast Habitat Restoration, Channel Islands Restoration, California State parks, and the Carpinteria Creek Watershed Coalition. 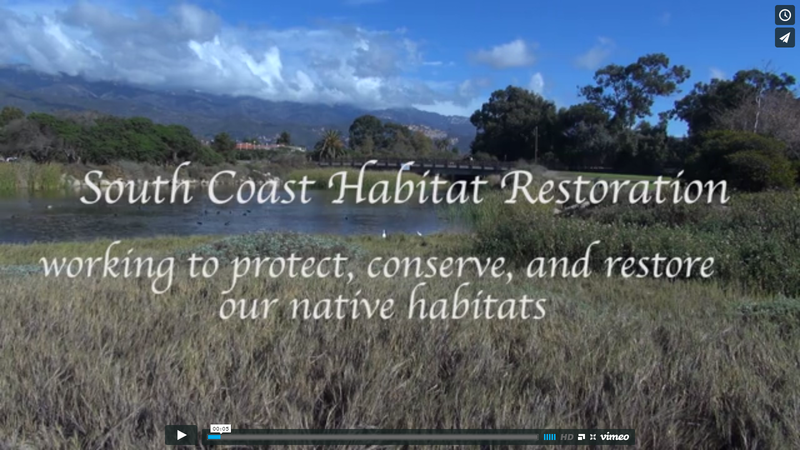 The project has also allowed volunteers and visitors of the Carpinteria State Beach to learn about habitat restoration and the importance of the Carpinteria Creek Watershed. Currently the mouth of Carpinteria Creek is lined with approximately 350 feet of rocks on both of its banks confining it from its natural meandering state. Prior to the project start, few native plant species were present on the banks of the creek mouth, nor in the surrounding area. The majority of the vegetation on the banks was non-native, consisting of ice plant and myoporum. The non-native ice plant was “solarized” using large sheets of black plastic and some hand pulling. Native plants were installed through the dead ice plant using volunteers. The “solarization” technique is an environmentally friendly way to remove the iceplant instead of using herbicides. The dead ice plant acts as mulch around the plants which provides dual benefits by keeping down the weeds and also helps the plants and soil hold onto moisture.